Think human rights are just about courts? Think again! BIHR’s Human Rights in Healthcare Project, funded through the Department of Health’s Grant Programme has been exploring ways of assisting voluntary sector organisations working on health and social care to use the Human Rights Act to provide and advocate for better services, given that all public authorities, including NHS organisations, have legal obligations to respect, protect and fulfil peoples’ human rights. I am sorry I am not able to attend this important event but wish to send my support for the day and for what you have already achieved. I sincerely thank you for the excellent work that the BIHR and you, its 20 partner organisations, have completed over the last three years on behalf of the Department of Health. It is crucial that the NHS and care services take time to consider human rights and how they must underpin the way in which patients, carers and clients are treated, as well as understanding that their views and experiences are crucial in shaping our care systems.I look forward to seeing the outcomes of today’s discussions. Once again thank you and have a great day. Discussions at the event focused on the challenges and opportunities of making rights a reality – to take human rights off the law books, beyond the courtrooms and into our everyday practice. Designed to be a framework law, the Human Rights Act provides both a legal and practical foundation for health and care services to develop and deliver policy and practice. Through the Project, BIHR has worked closely with over 20 organisations based Birmingham, Liverpool and London and a sub-group focused on mental health. At the event we heard how groups are putting the Human Rights Act into practice, helping to transform internal culture, to secure good outcomes for service users, their families and carers and forming the basis of partnership working with services. We heard from Mind Brighton and Hove about the initial “fear factor” and the sense that getting involved with human rights might end up in the courts, something which was dispelled with BIHR’s training and capacity building. In fact understanding the Human Rights Act means their advocates can be more targeted in raising concerns, empowering them to challenge poor practices. NSUN, a survivor-lead network, spoke about how the project has helped them to understand what the Human Rights Act is and how it can be used to as a lever for change. Just knowing there are legal rights which protect people has been very powerful and helped shift language of the organisation at every level, from local advocacy to engagement with Government Ministers. BHA, a health equality organisation based in Manchester, has used the BIHR Project to help them to raise awareness of human rights, and they are now looking at challenging policies and practices which pose risks to the rights of people in vulnerable situations. Click here to watch their video. Healthwatch Blackburn with Darwen, through the through the Project helped to convince the local commissioning body to include human rights considerations in the process for establishing the local Healthwatch. We also worked together (and with BHA) on a human rights leaflet for all new Local Healthwatch organisations, which has been hugely popular. Click here to watch their video. The Royal College of Nursing in the West Midlands, speaking about involvement in BIHR’s project explained how they have taken forward human rights into nursing standards, training and in work with women and older people. Click here to watch their video. Participants agreed it was important to ensure services are complying with their legal obligations under the Human Rights Act, an in some cases this is still not the reality. Recent scandals such as the deaths and suffering at Mid-Staffordshire Hospital, the abuse at Winterbourne View care home, and others are reminders that quality of care is not simply a case of common sense or compassion. Values are important, they are the foundation of services, the ties that bind us. At the heart of health and social care are human rights values such as universalism, dignity, respect, fairness, equality, choice and autonomy. Yet these ties are too easily broken, sometimes something more is needed, assurances below which services cannot go below, and empowering framework for positive action and accountability for when things go wrong. This is what human rights laws do. 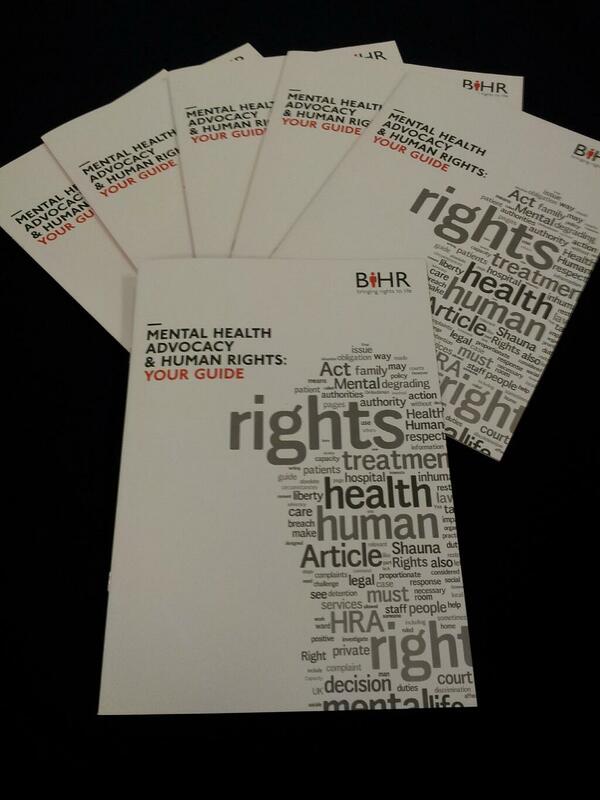 We were particularly pleased to launch “Mental Health Advocacy and Human Rights: Your Guide” at the event. Produced with Project partners Mind Brighton and Hove, Wish and NSUN, our latest practical resource to help respect and protect the human rights of people with mental health problems. Aimed at both advocates and people who use services, the Guide explains how the Human Rights Act is relevant in mental health settings, drawing on real life stories of how laws and legal cases can be used in everyday advocacy practice, providing helpful flow-charts, worked through examples and top tips. The Guide was warmly welcomed at the event, and just one-day in we’ve been overwhelmed by the positive feedback we’ve had via Twitter, email and the phone. You can find out more and get your copy here. No doubt there are challenges ahead, with the changing landscape of health and social care, economic constraints and the need for strong political leadership. But as the work of the Project shows it is possible to put the Human Rights into practice, securing not just legal compliance but also helping to build a culture of respect for human rights. There is much to be done to fulfil the spirit of this legislation, so that human rights become part and parcel of the way public services are developed and delivered, placing human rights at the forefront of daily interactions, but it can be done! Human Rights Training: It wasn’t dull or boring! This guest post has been written by Sam Bond, Advocacy Manager, Age UK Brighton & Hove. In March staff at Age UK Brighton & Hove (AUKBH), including frontline workers and managers, received a day of human rights training kindly delivered by Sophie Howes at BIHR. 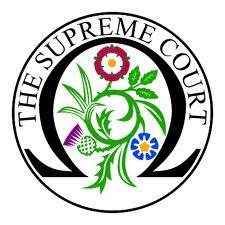 The training covered the origins and principles of human rights laws, human rights law in the UK, the types of rights we have and the rights which are particularly relevant to older people. In the afternoon the Advocacy team discussed some case studies and ways of raising human rights issues. So why did we need this training? At AUKBH we work with people age 50 plus, but the majority of our clients are over 80. We support older people to maximise wellbeing, maintain independence and exercise choice. We provide a number of services; including Advocacy, Crisis Service, Horizons social re-enablement service, Information & Advice and Nail-cutting; where workers visit people in their own homes. 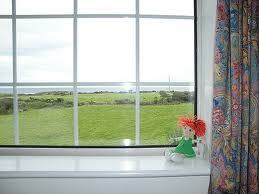 We frequently come into contact with clients who are receiving health or social care services. Older people are more likely than other age groups to need health and social care services. More people over 75 experience emergency hospital admissions than any other group. Yet older people often don’t know they have rights that they can use to challenge poor and undignified treatment by service providers. The Human Rights Act can be used to protect our clients in situations such as being in hospital or receiving a care service, and to ensure they have equitable access to services. The human rights training will help AUKBH workers to identify situations where there are potential human rights issues for their clients. Workers can refer these clients to AUKBH Advocacy Service. An independent advocate can support clients to make sure their views and wishes are heard and help them secure their rights. They can support people to challenge a decision or make a complaint. The training will help us to influence the treatment and care of the older people we come into contact with. It will help us to raise awareness of the relevance of human rights to people who are more vulnerable. I had promised colleagues at Age UK Brighton & Hove that the training wouldn’t be dull or boring and I was certainly vindicated in that! The lively discussion in the afternoon really helped bring the subject matter to life. Since the training some of our advocates have already had occasion to use human rights language when advocating for clients. Sam Bond, Advocacy Manager, Age UK Brighton & Hove. Sam Bond is a BIHR Local Human Rights Champion. This involves helping to raise awareness about human rights and their relevance to local people.